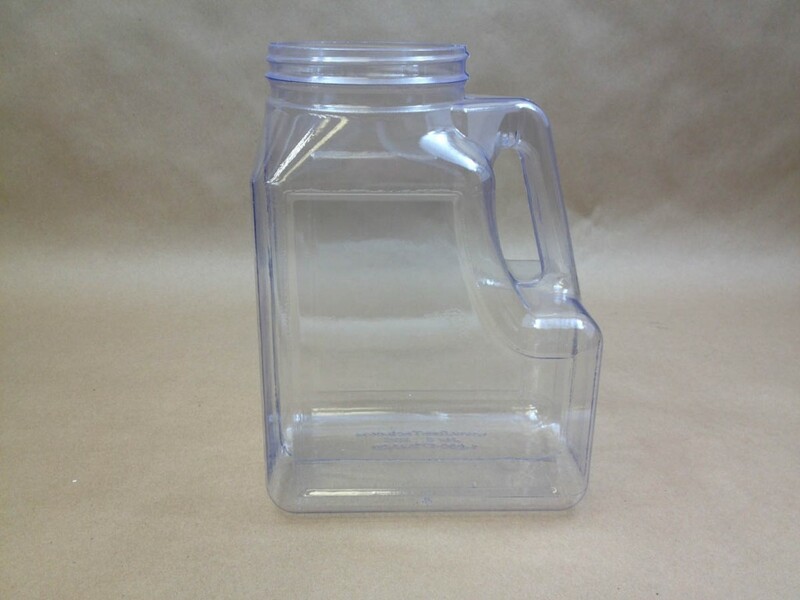 We stock plastic handled canisters and jugs in sizes as small as 16 ounces and as large as 2.5 gallons. 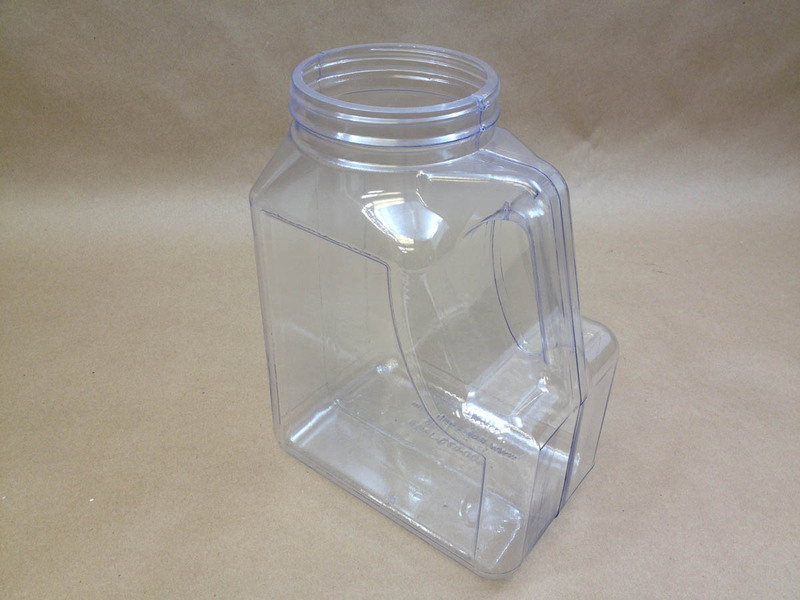 They are available in white and natural and in 4 pack reshipper boxes as well as bulk packs. 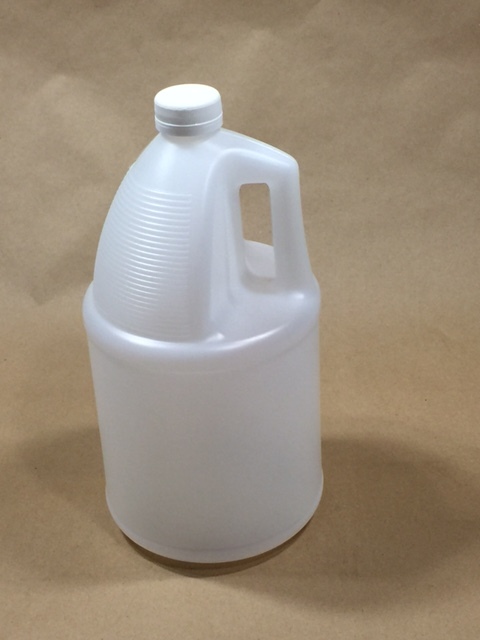 The 2.5 gallon jugs are available in 2/pack reshipper boxes and 24/pack bulk packs. 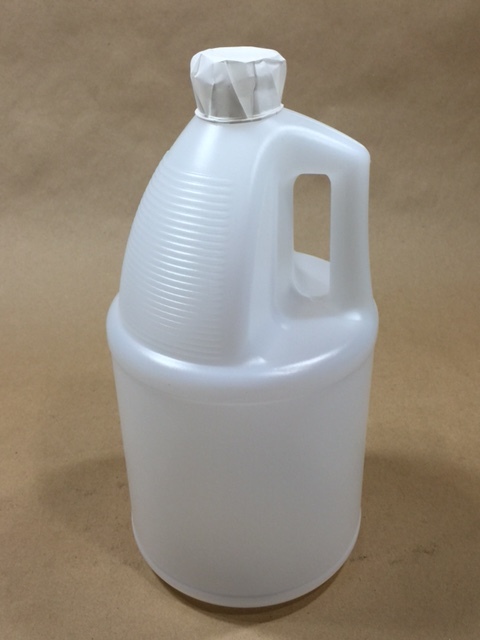 Many of the jugs are high density polyethylene, however we have a 168 ounce canister, shown in the picture to the right, that is made from crystal clear PVC. 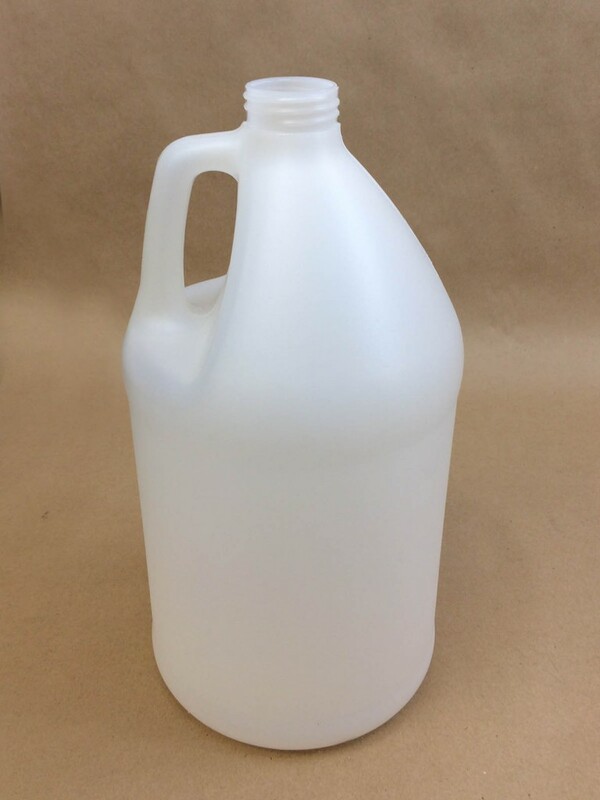 Some of the jugs are fluorinated. 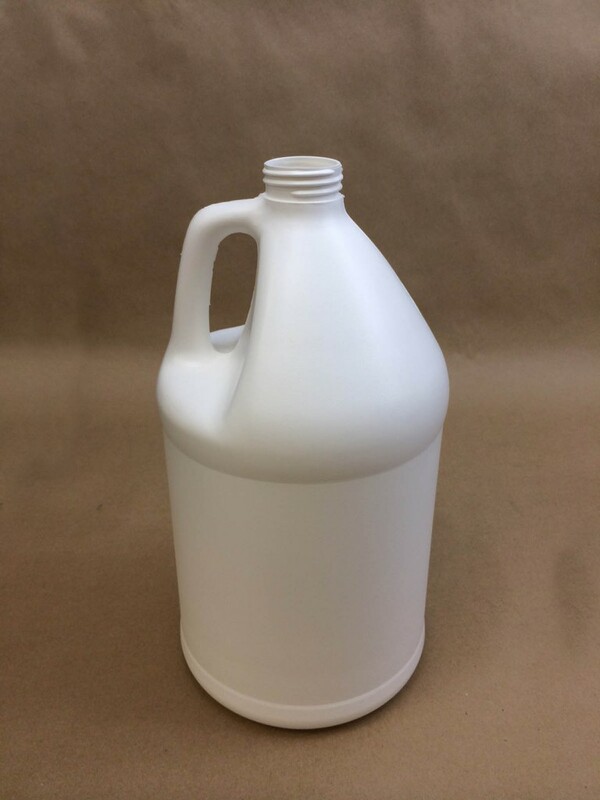 Fluorination is a barrier treatment and you can find more information on fluorination in this article. If the jug has a UN designation, that information can be found in the description of each jug. Please note that in all cases, price is per bottle. Also, it is the responsibility of the shipper to be sure his product is compatible with the packaging. Please call for a sample for testing with your product. 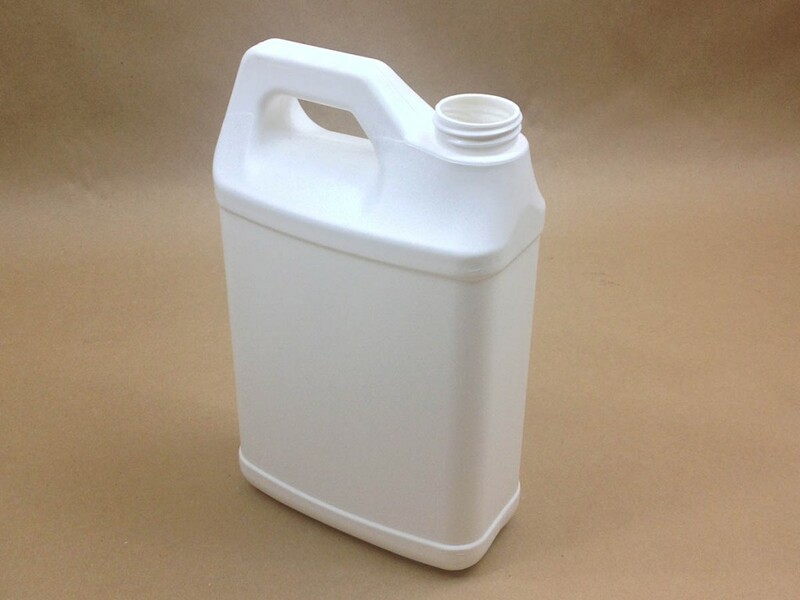 More information on our 168 ounce handled canister can be found on this page.